Many German foundries created clones and close interpretations, including Morris-Gotisch (Berthold, before 1902), Morris-Gotisch (Stempel, before 1905) a.k.a. 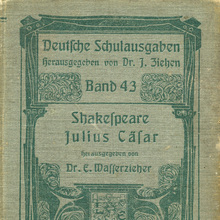 Faust Gothisch (Roos & Junge), Morris-Gotisch (Ludwig & Mayer), Archiv-Gotisch (AG für Schriftgießerei; with light and open styles), Uncial-Gotisch (Woellmer), with open and black styles). Gans from Spain had it as Gótico Uncial . 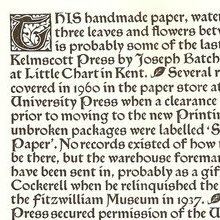 Digital revivals include Richard Kegler’s P22 Morris Troy (P22, with initials and ornaments; used for the sample), Tom Wallace’s Morris Gothic (HiH, 2007, with ornaments and 2 sets of initials), Gerhard Helzel’s Morris-Gotisch (2004, with an open style) and, less commendable, Chet Gottfried’s Troy3Roman (1992), David Nalle’s series Morris Black Letter , Morris Initials , Kelmscott , and Chaucerian Initials (all: Scriptorium, 1993), Marty Snyder’s Satanick (1994), Dan X. Solo’s Morris Black (Dover Publications, 1998), Dieter Steffmann’s Morris Roman Black (2002). Boris Kahl’s Chaucer is a limited version with irregular outlines (Volcano Type, 2001).